Download the template with many guiding questions (as a pdf file) from the list below! What is an au pair handbook? An au pair handbook (sometimes also called household handbook) is a comprehensive compilation of rules and information so your au pair understands your family’s needs and how your household operates best. Why do I need an au pair handbook? One of the most important things for a successful year with your au pair is communicating clear expectations from the very beginning. We strongly recommend that you take your time to set up your own au pair handbook already while looking for an au pair! You can share it with your future au pair already during the interview phase, but latest when the au pair arrives. 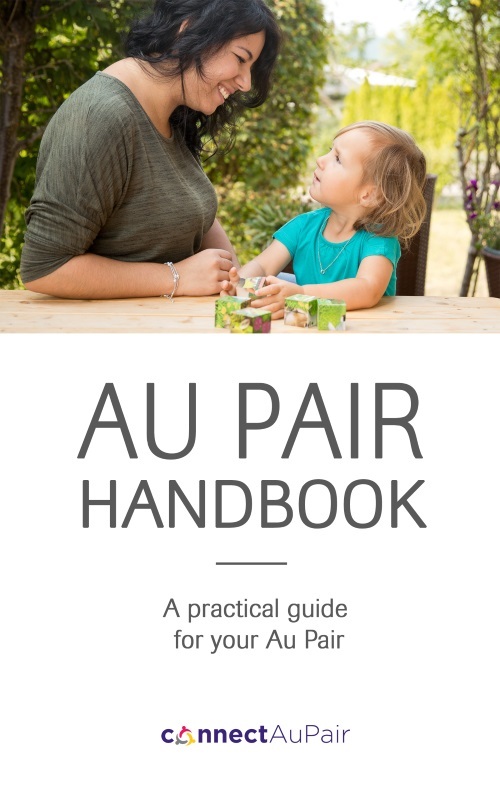 To make sure the au pair understands everything and to answer questions from the au pair's side, you should then also review the au pair handbook together with the au pair during the first week of her/his stay. How can I set up my own au pair handbook? Setting up your own au pair handbook is really simple: Go to your profile and open "my handbook" and the system will guide you through the process of setting up your personal version of the au pair handbook. Need some inspiration? Here you can find samples of other host families' au pair handbooks.